When you look for an edge, what do you need? From the BluVac+ Pro to the BluVac+ Micro, AccuTools has you covered. 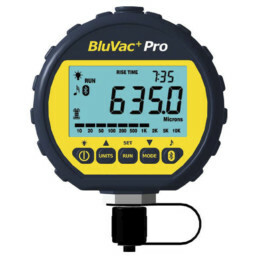 The revolutionary BluVac+ family of Digital Vacuum Gauges utilizes patented technology to bring you the accuracy of a scientific gauge in a field-ready tool. 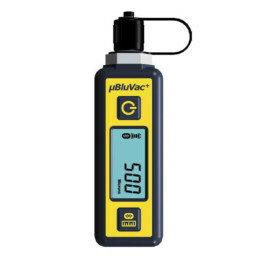 Our BluVac+ gauges outperform all others and address the problems previously encountered with other micron gauges such as sub-par accuracy, loss of calibration, or having to guess if the gauge is contaminated with oil. With self-diagnostic sensors and field calibration, the BluVac+ family of gauges will increase your productivity and never leave you guessing about your work or questioning your tools in any environment. The complete line is paired with the powerful BluVac app for an improved evacuation experience. You get a better understanding of what you’ve been missing – leaks, moisture, and outgassing. With proper evacuation, systems will run better, last longer, and experience fewer problems for a lifetime. 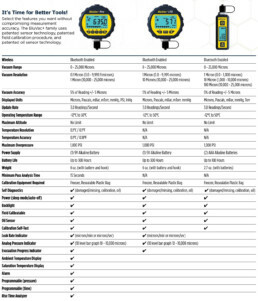 The BluVac+ Pro is a full-featured wireless, programmable vacuum gauge ideal for mission critical evacuations. Paired with a powerful Android and iOS app, the BluVac+ Pro has unprecedented features that streamline the evacuation process with optimal results. 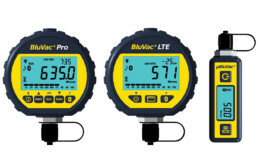 The BluVac+ LTE is a reliable and accurate wireless vacuum gauge with leak rate indication. Paired with a powerful Android and iOS compatible application, the BluVac+ LTE has unprecedented features that streamline the process and optimize the results. BluVac+ Micro, rugged, small, precise – accurate. Incorporating sensor technology developed for the BluVac+ Pro, the Micro provides consistent, quality results at an affordable price. 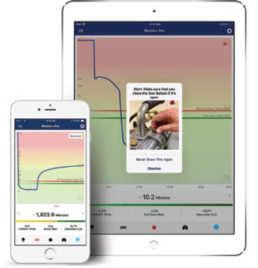 The powerful Android and iOS compatible app streamlines the process.